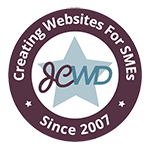 When I am approached by a new client who’s never had a website before, I am often asked what web hosting is. This is a service I offer to clients but some clients also come to me with existing websites and a host they want to continue to use. So I thought I’d summarise some information about hosting in general and the things to look out for in hosting providers and also what I offer as well. 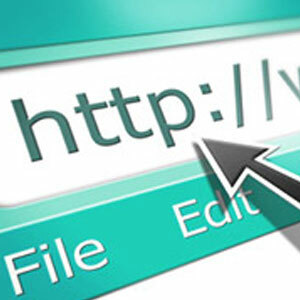 Websites are made up of files that are stored on servers so that when someone types in the website address www.webaddress.co.uk – it connects to the server and shows the files that are stored on it. Its a bit like your website is a book and the hosting is the bookcase where it is stored! There are lots of different types of hosting packages available that range from the very cheap to the quite expensive. Depending on which company you look at, they may include additional services as part of the hosting eg emails, back ups etc or they may charge extra for these so make sure its clear. Shared hosting – this tends to be the cheaper end of the market. One server is used to host many other websites which can go up to the thousands in number. This is an entry level option and often you have limited options as to what you can and can’t do. It may not be suitable for websites of any significant level of content or resources. They can also be some risk as you won’t know what other type of websites/emails will be on the same server as yours and you may have limited performance if your neighbours are draining the server. Not recommended for Ecommerce websites. VPS hosting – this stands for Virtual Private Hosting. This is one server that has fenced off areas into smaller virtual servers. This is a mid-level type of hosting and is a bit more exclusive than shared hosting. This is what I offer most of my clients. Dedicated/Managed hosting – this is where one person rents a whole server and there is no sharing. Offers maximum control but therefore often costs significantly more. Cloud hosting – this is where the website files are shared amongst a collection of servers (‘cloud’) who work together. This is a relatively new type of hosting and because it uses shared resources to support websites, it can have higher costs as well. Here are some top tips as to what to look out for in a hosting package or provider. The hosting that I offer is already best suited for my websites so by using me to provide the hosting means you already know it has been researched and you are being well looked after! Make sure you choose a provider who has the right software for your website – eg WordPress will require a PHP based server, a MYSQL database and mod-rewrite facility. You need to ensure it is correct from the start. What will the growth be for your website? If you are starting small but have plans to expand, you need to know you won’t outgrow your package quickly. Support & customer service – conduct some research and see what reviews a provider has. Make sure you can pick up the phone and ask questions if you get stuck. I often inherit customers who have got fed up with struggling with support systems in larger organisations! Price – ask questions of really cheap hosting as there’s often a reason for this! It may be that the price increases after a year, or you can’t move the website to another provider, or that you don’t get access via a control panel to administer changes to your account. Cheap or free hosting can offer limited reliability. Ask questions about security – if you’re on a shared server what protection is in place against your neighbours. My hosting packages offer great value for money and you know that if you need to call to ask questions or have a problem, it is me that you will be speaking to. I rent spaces on two servers where I know the support team by name and they offer great response times to queries. Included in my hosting for new WordPress websites are upgrades whenever new software is released and back ups in the event of issues. You may need to pay extra for this elsewhere. But I only offer hosting to websites that I have developed so I can be sure they have been installed correctly and safely. So I hope that’s provided some background information so you can make an informed decision about hosting and what to consider. Please contact me with any further questions.